Search Engine Optimization (SEO) is the holy grail of web content and companies seek to maximize their rankings through keywords and meta content. Some businesses confuse keyword usage with effective SEO and lose rankings as well as potential sales as a result. Effective SEO is important to create a strong online presence, and the process is more complex than many people appreciate. Guy Sheetrit, owner and founder of Over The Top SEO demystifies this complexity and shares key elements of success. Some people pack their website content and blogs with keywords and mistakenly believe that they have achieved SEO, but as Guy explains, they are mistaken. "Every business wants to rank for specific keywords as they feel these are the most lucrative or deserving for their business but keywords alone aren't enough. You need quality content, and it is one of the elements we address for our clients at Over The Top SEO." Google and other search engines rank sites based on much more than keywords, and you must provide this experience for viewers. "Google always seeks content that is written to educate the visitor. If you feel your content is mundane the only way to redeem yourself is to stop making content that seems repetitive, offering zero benefit to site visitors, or attempting to rank a keyword. If your goal is to invite users to learn some information then surely Google will reward you appropriately." To understand SEO Rankings and Ratings, we need to start with a quality SEO website. The elements of SEO are split into two different categories, On Page and Off Page. Guy explains, "On Page SEO deals with the data presented by your site, such as quality content, search engine friendly URLs, optimized web pages and site loading speed." These are the elements that a viewer notices and, hopefully, provides a positive experience. "Off Page SEO has more to do with building organic traffic and backlinks to your website," he states. Off page processes include functioning internal and external links and assuring that those links are keyword optimized. A poorly designed or unmaintained site will damage your SEO ranking and undermine your content marketing and SEO efforts. SEO Score and SEO Ranking are completely different things and expert Guy Sheetrit clarifies. "Put in simple terms; your SEO score is the combination of data that your site presents incorrectly or correctly combined to give an effectiveness rating. Generally, your site is scored on domain authority, server-side configurations, proper use of coding standards site wide, and overall onsite content." In other words, this is your off and on-page SEO elements. SEO Ranking is completely different. "SEO ranking is a measure of how the website is ranked by the search engine," Guy explains. It determines how visible your site will be to a user. The higher its ranking, the more likely your site will show up during a search. "While there is often a correlation between your SEO Score and SEO Ranking, it doesn't always mean that if you have a good SEO score doesn't mean your SEO ranking will be high as well and vice-versa." Some businesses focus on using keywords and SEO maximization for their home page but they miss the point. For Guy, this is one of the critical SEO aspects he focuses on with client sites. "Google doesn't rank sites for every keyword they have on the homepage of their domain. More often than not, you'll see site after site showing inner pages that have content that is superior in comparison to their competitors. These sites outshine the rest and are at the top of the search results. Do a quick search of glass jars and see how the top 3 pages are inner pages that are correctly formatted. This is how google works and it's only evolving. Home pages are important but inner pages are where you have the advantages of developing serious potential for your business." Few businesses take full advantage of an effective blog but since SEO is based on providing information and quality content, this is a great tool to bump your ratings. Guy finds that, "if blogs are done correctly they are the greatest source of acquiring visitors to your site as the varying range of topics you can discuss will interest a wide variety of target audiences. Images also play an important role in rankings and are often times forgotten as only file names that are numbers and nothing topically relating to the content of the pages they reside within." Use images to attract your audience and create keyword file names for those images. Those efforts, combined with quality blog content will boost SEO. While it is important to know your SEO Score and Ranking, you also need to know how to improve those numbers. Guy recommends starting with your Off Page SEO components, specifically crawling errors. "Make sure your site is defunct of crawling errors from your analytical tools. The moment you have crawling errors, Google can immediately punish your site's overall ranking for the entire lot of keywords you were previously ranking for." He works with clients to avoid this situation by assuring that downtime and coding errors are eliminated, and content is properly configured. He warns that if you don't take these steps, "you risk burning your entire efforts of SEO." Your content must be searchable to be viewed and here is where the SEO rubber meets the road. "Visitors are generally the first thing you acquire from writing quality content. If the content is perfect you'll have links to your content, which Google sees and then rewards your domains authority. The more genuine shares you obtain from your content, the more genuine the visitors will be." And genuine visitors means sales. 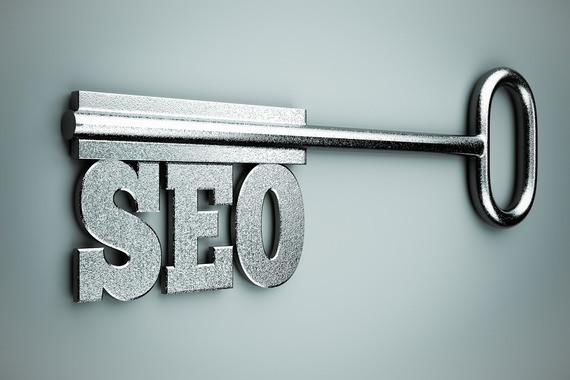 Achieving a high SEO Score and Ranking is only the beginning of the challenges you face. "One of the most difficult things to handle, in terms of SEO for your site, is maintaining search presence and keeping your site in good standing," Guy explains. "Having a team of SEO experts, such as Over The Top SEO, auditing your site ensures that everything follows search engine guidelines. This means your site won't be penalized, which entails having to go through a re-approval procedure that often take weeks to remedy." Google offers analytics to monitor your site's performance and there are other apps and programs you can choose from as well. That is a complicated process that evolves with each Google update so many companies find it beneficial to outsource the SEO process. The expense is often a small price that reaps great financial rewards. Effective SEO is a complicated process that includes quality content and a well-designed site with working links. High SEO rankings and scores are the result of authentic viewer engagement, not keywords and gimmicks. While this process is challenging it is also necessary for survival in today's online-focused shopping environment.